LogLocks® are installed in the centre of the log at six-foot intervals and two feet back from the corners. The average size log home will require 40 LogLocks® depending on home design to ensure the log walls remain tight. Our LogLock® system takes only two hours to install, compared to the traditional two days. Log walls are not held tight long term, due to obsolete joinery methods. Traditional use of nails, screws, spring-less or spring only thru-bolts are obsolete fastening devices and may lead to gaps between the logs where air can enter the interior of the home. Before our LogLock® system, expensive and labor-intensive caulking and chinking on an annual basis was required to deal with air infiltration. 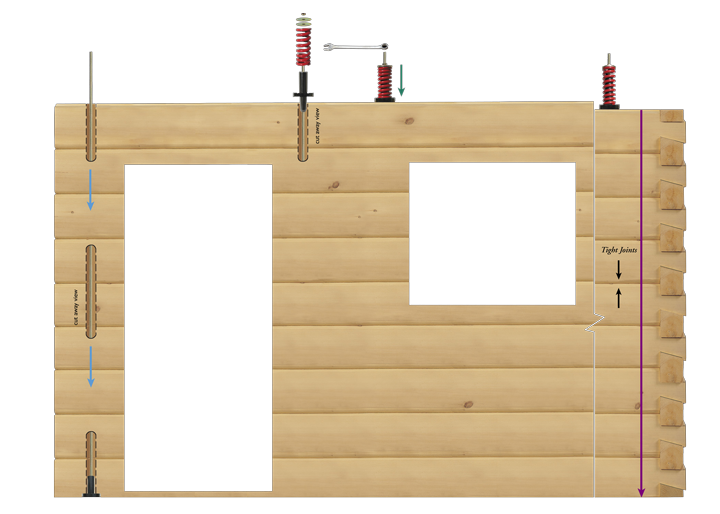 Our ratcheting LogLock® compression system eliminates log wall separation. True North log homes require no caulking and chinking. This gives True North log homeowners more time for living in rather than working on their log home. The jaws inside the LogLock® combined with the red 2500 lb. 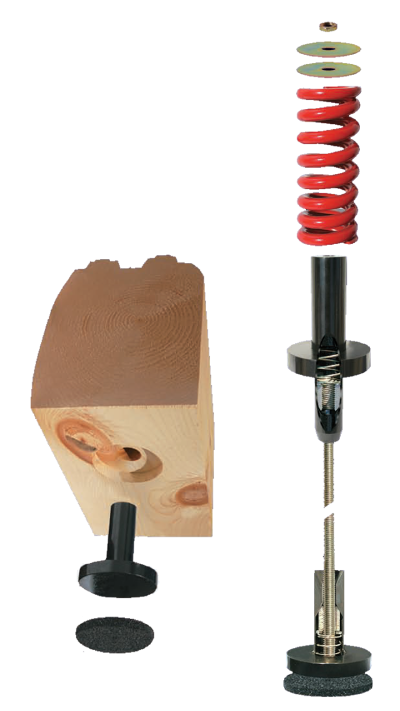 compression spring are designed to only let the LogLock® to go down on the threaded rod. This prevents logs from lifting, bowing, or separating due to the natural shrinkage and settlement of the log walls. WHAT IS THE ADVANTAGE TO A TRUE NORTH CUSTOMER? No caulking or chinking, ever!